Kacaw is a native Taiwanese from the Amis Tribe. 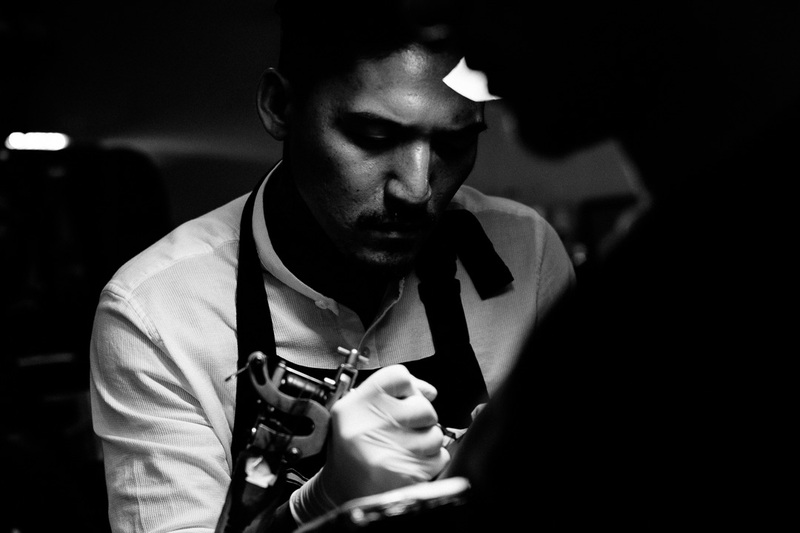 He moved to Taipei from his home of Hualien to become a tattoo artist. You can find him at Showhand Ink in Taipei City. We sat down with him during our time in Taipei to talk about tattoos and what they mean to him. According to Kacaw, those who have facial tattoos within the tribes must be great people. They must have done something great for the tribe. When he sees people with facial tattoos, he feels a deep sense of respect. These people have done great things and need to be respected. They should also be proud of their accomplishments, he feels. When asked about his own work, he notes that despite his many tattoos, he does not have anything related to his heritage. He has, however, tattooed tribal designs onto others with relation to their heritage. In his view, tattoos are a way to remember something from your life, and he is proud to take part in people’s stories. Check his work on Facebook.